This Glossary Of Janitorial & Cleaning Terms is a list of definitions for many terms that are commonly used in a janitorial or cleaning-related context. Please be aware that many of the terms provided in this glossary may have various other meanings when used in different contexts. Use the alphabetically-arranged list below to define the meaning of a Janitorial or Cleaning-related term that you wish to research. 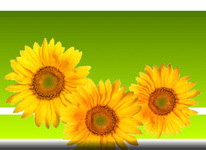 Can't Find A Definition For Your Janitorial Or Cleaning Term? Please call or e-mail and let us know which term You are trying to research. We'll try to get You an answer and, if it's relevant, we'll add the term to our Glossary to help others like You! Detergent - A cleaning product other than soap, that may contain surfactants, builders, solvents, and/or chelating agents. Hydrotrope - An ingredient that stabilizes other surfactants used in a cleaner so that they remain soluble and the cleaner remains clear. 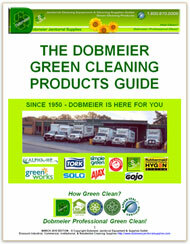 How Clean Is Your Facility - Is It Dobmeier Professional Clean? We Ship Janitorial Cleaning Equipment, Parts, & Supplies Anywhere In N. America!